Microtek Lab is now shipping its ArtixScan M1 and M1 Pro flatbed film scanners. The scanners offer a 4800-dpi optical resolution and a separate, glassless tray beneath the scanning assembly, which is dedicated to scanning film. The tray includes inserts for 35mm (slides and strips), 120, 220 and 4-inch by 5-inch film, and uses a secondary lens with autofocus to provide high-resolution scans of negative and slide film. The inserts can also be replaced with a glass tray to scan odd-size film stock. 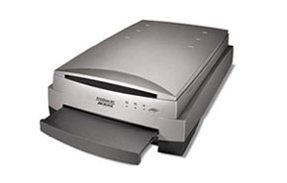 The USB-based device also has a legal-size flatbed for scanning documents, although Microtek is primarily positioning the M1 series as a film scanner. The M1, which is priced at $649, comes with Photoshop Elements 4.0, LaserSoft Imaging’s SilverFast SE Plus, ABBYY FineReader 5.0 Sprint, Microtek’s scanning software and Kodak IT8 reflective and transmissive targets for profiling the scanner. The M1 Pro, which is $799, comes with Photoshop Elements, FineReader and Microtek’s software, adding LaserSoft’s full-featured SilverFast Ai Studio and a second set of film holders. The secondary tray for scanning film was pioneered by Microtek in the 1990s, originally shipping in Agfa’s DuoScan scanner line, and some of the best medium-format scans I’ve made on a flatbed were created with the original DuoScans. Microtek has been refining the concept over the years, choosing to offer the technology under its own name, and I’m looking forward to putting this latest generation through its paces. I just received an M1 Pro to test, and should have some observations and sample scans in the next month or so.